Take the ground beef and mix it with the other ingredients in a large bowl, and leave for an hour or longer to allow the flavours to blend. The kefta is then ready to shape and cook. 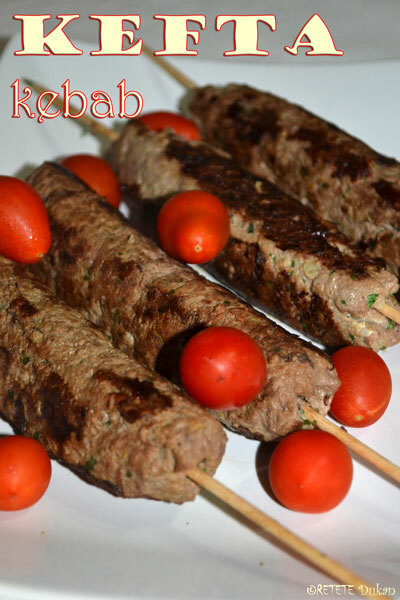 To make kebabs, take small amounts of kefta and shape them into cylinder or sausage shapes and skewer the meat. Cook on grill for 5 minutes on each side and be careful while turning not to break the meat. 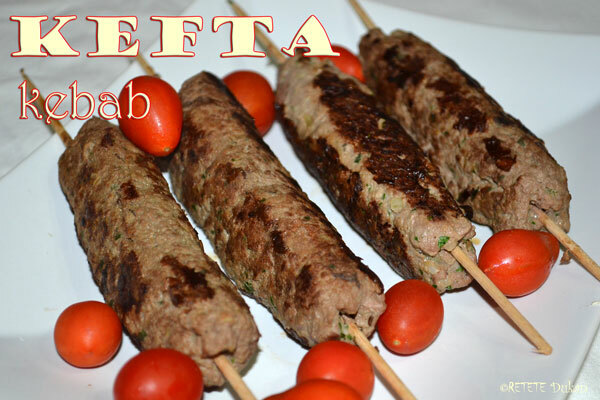 Watch the kebabs carefully, because other way your kefta will dry out.